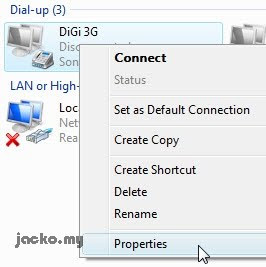 I talked about DiGi 3G and I blogged in summary with some configuration info on how to setup 3G connections for major ISP in Malaysia. 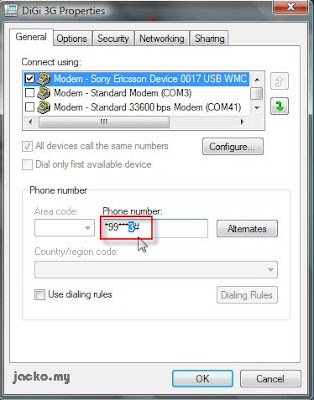 Now let's get into detailed step by step on how to setup mobile phone as 3G modem for internet connection, in particular using SonyEricsson C902 as DiGi 3G modem on Vista machine. 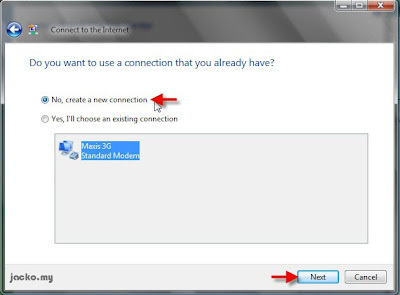 Click Configure Internet and follow the on screen instruction. You will receive the setting right to your phone, click install. Repeat the same for WAP, MMS and Mobile TV. Once that is done and your 3G service is activated, try browse the internet using the phone, this is to ensure your phone is configured properly. 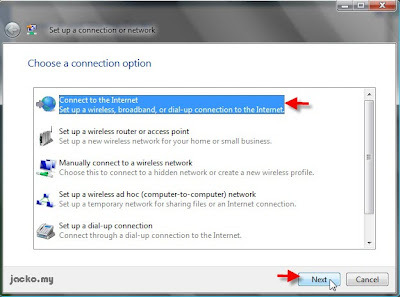 Click on How to Connect for first time setup. 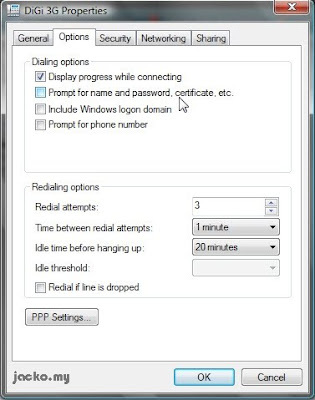 Follow the on screen instruction and connect your phone to the PC when ask to. I recommend to use USB cable for the first time to ease troubleshooting if you face problem later. 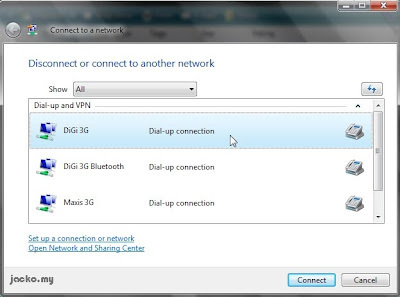 You can setup bluetooth connection once everything is successfully tested. 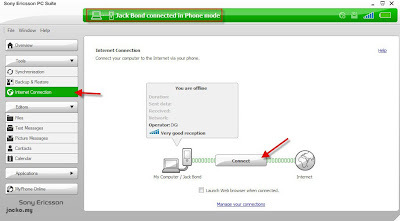 To establish the internet connection via the phone, make sure you have no other internet connection i.e. 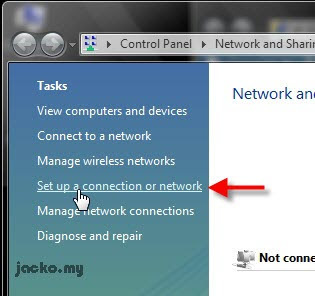 disconnect your wireless or wired network. 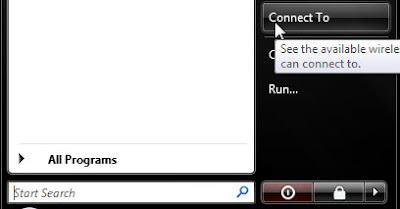 Then click on Internet Connection and click Connect, you will be connected automatically. The software actually pulls the settings from your phone and configures itself. So make sure you phone has the necessary settings mentioned in the early paragraph. Fire up your browser and test browsing now. Second method is manual and a little technical. 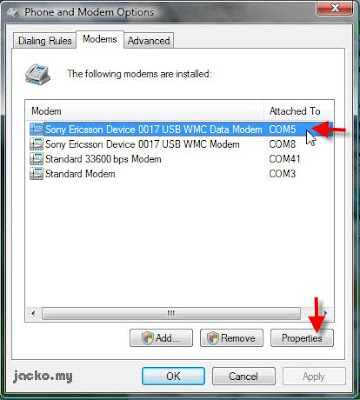 You need to install the modem drivers, the easiest way is to install PC Suite mentioned above so that all required modem drivers are properly installed. 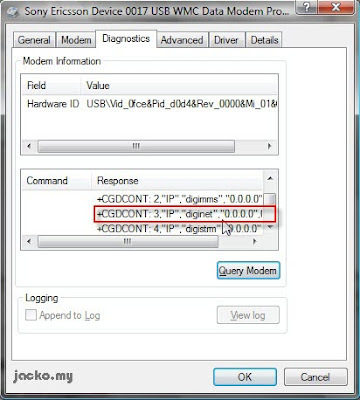 You may doubt now, if PC Suite is required to get the drivers, why need the second manual method to connect? 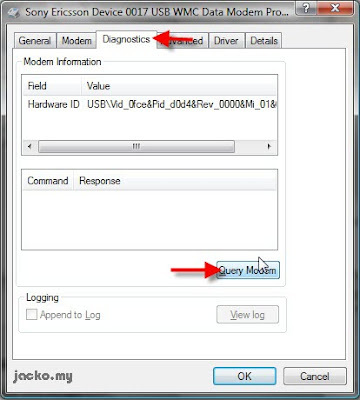 I install PC Suite for the modem drivers and of course I can use PC Suite to connect to the 3G service like mentioned above, but I just don't like to launch a separate software just for dial up, consumes the system resources for nothing. You can stop here if you prefer, continue if you want to learn the manual way. 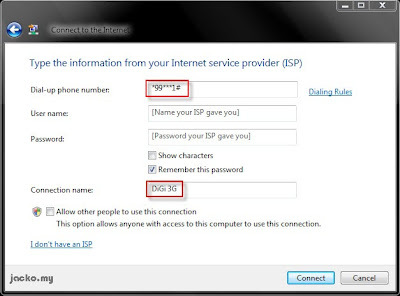 Take note on the dial up number *99***1# in particular digit 1, you may need to change it later. Oh ya, no user name and password required, leave it blank. Now let it connect, open up your browser and try browsing. If you can browse internet, that's all! You're done! 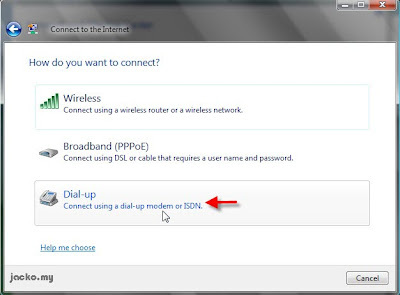 So in future whenever you want to go online using the phone as modem, click Connect To, select the dial up connection you manually created above, sit down and enjoy the wireless broadband! Try connect again. 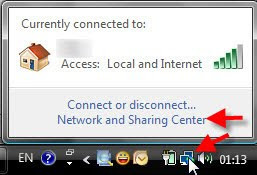 You should be able to establish the connection and browse internet now. Hope this post helps you. 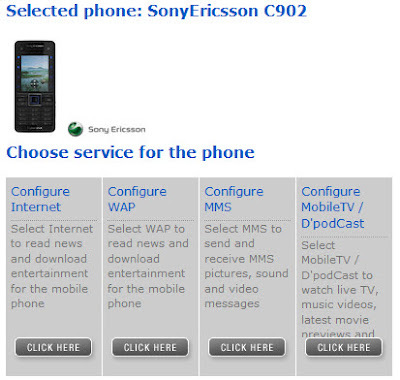 I believe it should be identical for other SonyEricsson phones and applicable to other branded phones with slight change. 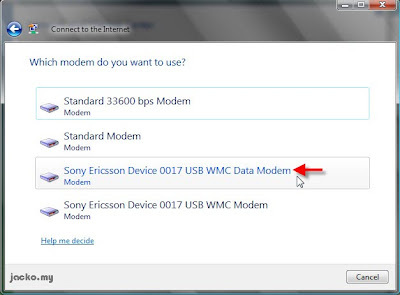 The key is to obtain the modem drivers from your phone manufacturer and you can use this post as reference to setup your 3G dial up connection. Drop comment if I am able to offer help, should you encounter any problem. i done every step all the way until phone n modem option. i try to locate the cdgcont ...diginet but it wasn't there. diginet suppose to be between digimms and digistrm right? but in my case are no diginet in between. i wonder if u can help me out? is that mean my phone internet setting wasn't install yet? bcoz last time i check, i did install internet setting for my phone. 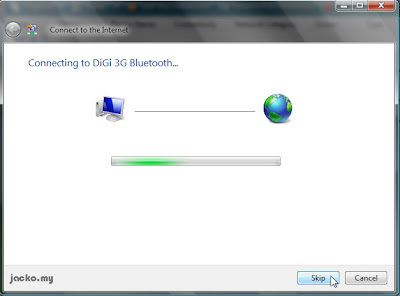 It seems you are using DiGi broadband NOT DiGi 3G. The difference is that digi bband is the USB modem thingy with a different SIM card whereas digi 3g is you activate your voice SIM card in your phone with 3G service. are you using bband SIM card in your mobile phone? Anyway, can you browse internet on your phone? you can try using the number from digibrdband. If can't then go to digi website to send the internet setting (click on "Configure Internet") to your phone, you should get diginet by then.